Managing fisheries is a complex science and business! With many competing interests, ie commerce, sport and commercial fishermen, oil and gas, shipping, conservation, etc, it is a daunting task to accomplish. Scientists at Texas A&M University-Corpus Christi (TAMUCC), and University of South Florida (USF) are working under a NOAA Marine Fisheries Initiative (MARFIN) grant that is attempting to provide data for integrated ecosystem assessment (IEA) that hopefully will lead to a more balanced ecosystem based approach to fisheries management. One tool used (among many) is the use of fishery ecosystem models that help to predict the effects of fishing, and other activities, on the fish and fishery. 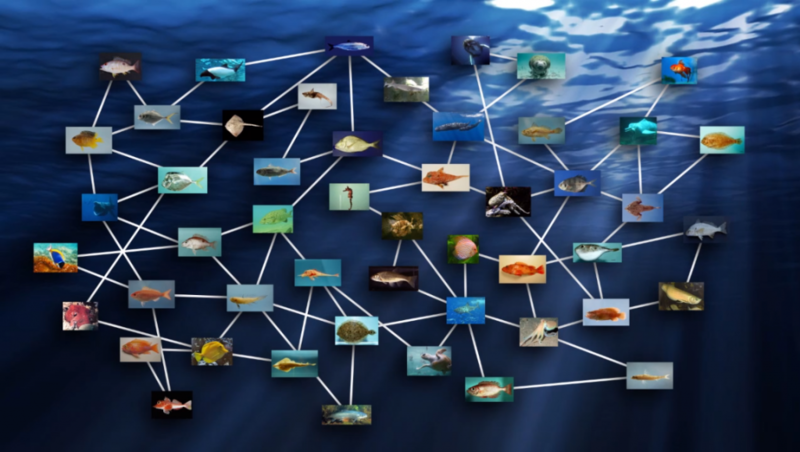 An important component of those models are trophic data, or diet data, of the fishes. It is this myriad of complex species interactions that are fed into the model. The problem is, for many species, good diet data are hard to come by. So, one of the tasks for the TAMUCC and USF scientists under the MARFIN grant is to collect more fish diet data. For some species, this can be accomplished from fish specimens collected by NOAA’s SEAMAP cruises. But for others, especially fish that occur offshore such as snappers, groupers, pelagics, and sharks, this method of collection is not very efficient. The scientists at TAMUCC have assembled many diet data from published and unpublished references, and are currently extracting and loading it into the GoMexSI database, but much more data are needed. Thus we are looking to citizen scientists to assist us in acquiring the needed fish stomachs along the Texas coast to partially fulfill the needs of the mathematical models. We have compiled a list of species for which we need data, and will be contacting local fisherman and citizen scientists through various media outlets (i.e. newspapers, webpages, etc) to spread the word. What we need is the entire gut of the fish, and an identification of the fish (to species or a picture), the approximate location of where it was caught, and the length (and weight if possible). In addition to the gut, we will also need a small piece (about one square inch) of dorsal (back) muscle tissue for a chemical analysis of the stable isotopes of N and C which also provide us information about carbon sources and trophic level of the fish. The gut and fish tissue should be placed on ice or frozen.